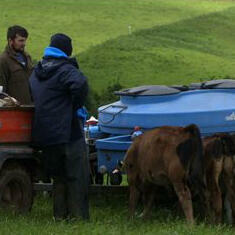 How do you attract and identify staff for your dairy farm? On this week’s episode of The Dairy Edge podcast, Paidi Kelly from Teagasc, along with dairy farm owner, Diarmuid Hegarty, and dairy farm operator, Cormac Desmond, joined us to help identify the key characteristics. Paidi explains the context of hiring staff on farms, arising predominantly from the expansion in the dairy herd - an additional 300,000 cows since 2010. Coupled with this, the availability of labour has reduced significantly. Diarmuid and Cormac highlighted the key areas of a happy workplace which included good working facilities particularly for the milking process, planning and rosters, which allows for clarity of schedule of work and tasks, plus strong communication to allow good discussion and allow all team members to vocalise suggestions or opinions.